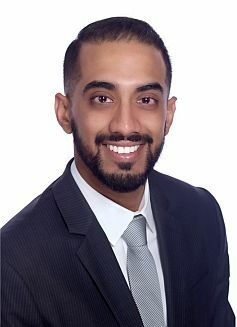 A long-time resident of Marlboro, Jason Patel is familiar with all the nuances that distinguishes each of Monmouth County’s amazing neighborhoods. From Colts Neck to Rumson and everything in between, he has a wealth of knowledge when it comes to schools, entertainment, services and other hidden treasures… much more than you could find with a simple online search. As an investor himself, Jason began working in real estate to support his personal pursuits of buying, renovating and flipping homes, a love which was cultivated early in life as he spent time in and around the construction and commercial real estate business. His wealth of knowledge in this arena creates incredible added value for his clients and sets him apart in a highly competitive industry. Prior to obtaining his real estate license, Jason earned his degree in Business Administration with achievements in honors finance at Rider University. His affinity for numbers, made way for years of successful real estate investing giving Jason first-hand knowledge of the buying and selling of commercial real estate. Turning his love for real estate investing into a professional endeavor, Jason combines a strong analytical business background with practical reasoning to understand and navigate the critical elements of any transaction. Today, Jason enjoys a solid reputation among his clients and investors alike with his core principles of integrity and professionalism. He is best known for his sharpened business sense, relaxed and comfortable demeanor, strong intuition, honesty and the highest level of discretion. Fluent in both English and Gujarati, Jason is an excellent communicator with a special gift for forging fruitful relationships.